In the city of Portland, Oregon there’s a giant neon sign of a stag jumping over an outline of the state. The historic landmark currently reads, “Portland Oregon” through the middle. It has had a few variations over the years, including, “Made in Oregon.” But one thing always remains the same: that white stag. The sign holds a special place in the hearts of many Oregonians, including mine, and Patrick Biggs’. 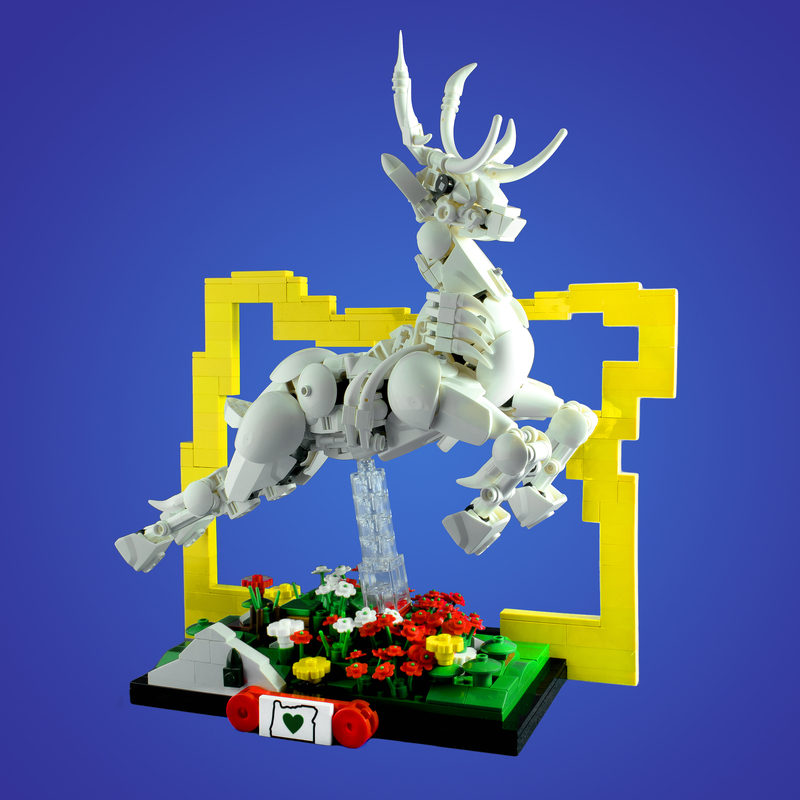 He’s another builder we’ve featured several times, and the creator of this LEGO version of the iconic Portland stag. Usually Patrick builds posable figures and critters of fiction. This time he went for something a little different to display at the BricksCascade 2018 convention this weekend. 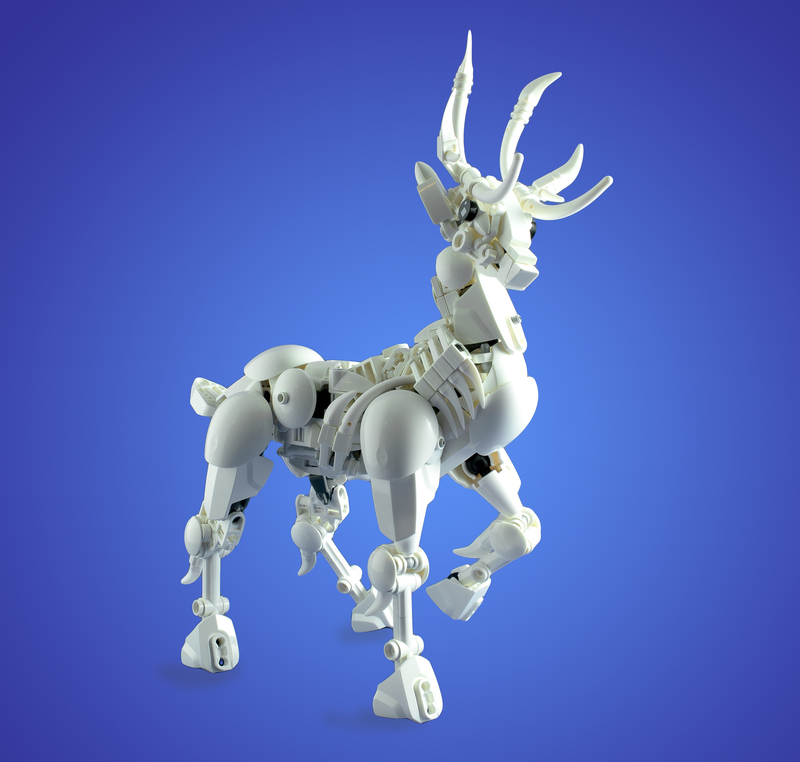 The body of this animal is beautifully shaped, and the white is clean and regal. Also, it can stand alone just as easily as with the full display stand. You don’t even need the backstory to appreciate it! Altogether, it’s one tribute to be proud of.